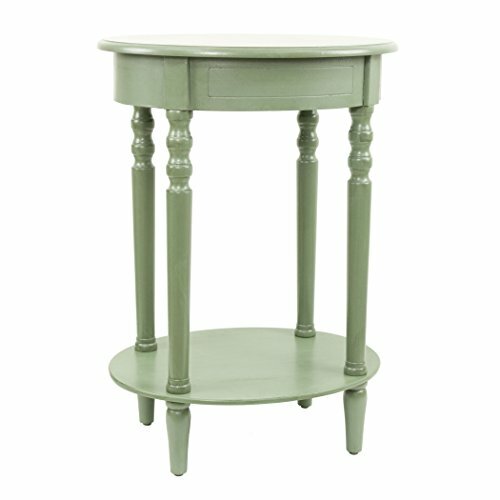 Our Oval accent table is the perfect table for a small space. The lower shelf is great for books or magazines and the 27"height makes this table great next to a bed or in your den. Some assembly required. Antique White. If you have any questions about this product by Décor Therapy, contact us by completing and submitting the form below. If you are looking for a specif part number, please include it with your message.